Nissan has yet to decide what is it using to power its new GT-R. But it aims to be the fastest in its class. 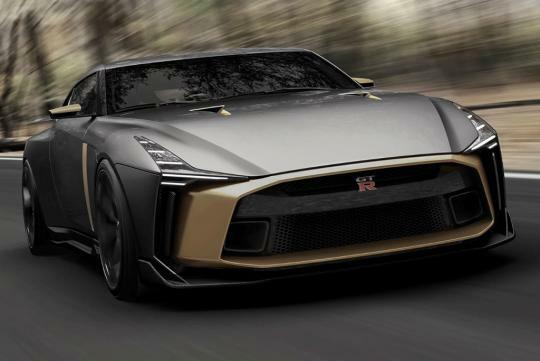 In an Autocar interview with Nissan's design head, Alfonso Albaisa, the publication was told that the next GT-R will not take styling cues from the GTR-50. In fact, Albaisa said that the car has yet to even have any 'serious work done on its design'. This is because decisions about the powertrain and new platform have yet to be finalised. "The challenge is on the engineer, to be honest," he said. "We will do our jobs when the time comes to make the car something really special. But we’re not even close to that yet." However, he did give some clues on what the next GT-R would be like. Albaisa believes that electrification for the next GT-R is likely, but not confirmed at this point. "Whether we go to a lot of electrification or none at all, we can achieve a lot power wise," he said. “But we are definitely making a new ‘platform’ and our goal is clear: GT-R has to be the quickest car of its kind. It has to 'own'; the track. And it has to play the advanced technology game; but that doesn’t mean it has to be electric." "It doesn't care what every other supercar in the world is doing; it simply says, 'I'm a GT-R, I'm a brick, catch me.' It's the world’s fastest brick, really. And when I review sketches for the new car, I say that a lot, "Less wing, more brick.'"